LOS ANGELES • Michelle Wie has said that she is likely to return from a right wrist surgery in time to defend her LPGA Tour title at the HSBC Women's World Championship in Singapore from Feb 28 to March 3. The 29-year-old American has already resumed putting and chipping, posting photos and updates on her Instagram page, and appeared at a promotional event for equipment maker Callaway last week. "I cannot wait. I'm so excited to get back out there," Wie said in a posting on the LPGA website that said she will likely be in Singapore for the HSBC event. "The last couple of months have been pretty hectic. I've been doing my training, doing my workouts every day. "I'm just excited to be healthy again and give it my all." 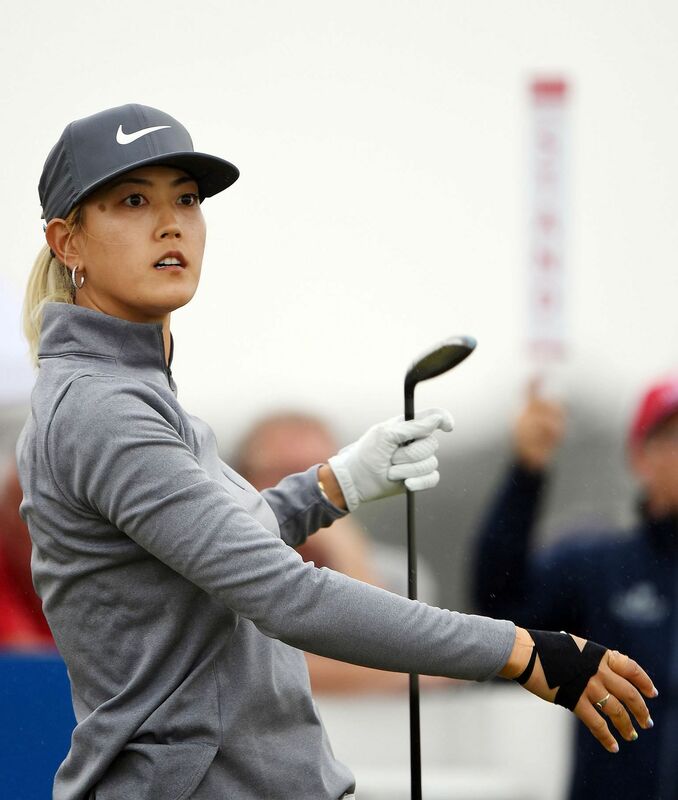 Wie underwent wrist surgery in October to repair a small fracture, bone spurs and a pinched nerve. The world No. 33 played only 16 events last year, her fewest since the 2009 campaign. However, she managed to clinch five top-15 finishes, including a tie for 10th at the US Women's Open. "Yesterday was the first time hitting putts longer than 4 ft and I have to say it felt REALLY good to make some clutch putts against @erikanderslang @brodiesmith21 in our little putting contest," Wie said. "Let's just say....the competitive juices are realllllly starting to brew inside. Getting antsy to come back but I also realise that I need to be patient with my body." She later posted a chip shot video, adding: "First day chipping!! Woohooo! I still remember how to hit a chip shot!" Wie, who has won five LPGA events, ended a four-year win drought since her 2014 US Women's Open title by capturing her 2018 season-opener in Singapore. According to the Golf Channel, she plans to travel to New York in two weeks to meet her surgeon, hoping that he will clear her to begin hitting full shots on Feb 1 and also give her the green light to play at the Honda Thailand event from Feb 21 to 24. Wie's coach, David Leadbetter, has said that it will be wise for her to hone a swing that will be "kinder to all her joints". "You'd like to design a swing that allows you to play without pain and the possibility of re-injury," Leadbetter said on the Golf Channel. "She is chomping at the bit to play and she has a good attitude, but she has to be cautious. She has a lot of wear and tear on her joints over the years. "But I think she still has some really good golf in her. "There's no reason she won't be back on a very productive path, as long as she can stay injury-free."